If you are told you have a certain commanding, yet peaceful, presence about you – you might be a good yoga instructor. If you’ve got more than a basic skill level in performing yoga moves – you might be a good yoga instructor. If you have the ability to make decisions and are versatile in your teaching methods – you might be a good yoga instructor. If you have been recognized for your ability to make others feel special and welcome – you might be a good yoga instructor. If you can recognize inappropriate stances and moves and know how to gently adjust them – you might be a good yoga instructor. 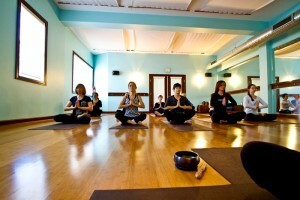 If you understand the power of music and how to use it in a yoga class – you might be a good yoga instructor. If you have the ability to understand how to talk simply and effectively – you might be a good yoga instructor. Combining these elements with other comprehensive lessons of yoga instruction, we can mold those with a passion for yoga into instructors that make a difference and are appreciated for what they know and how they deliver the lessons of yoga. Find out when our next class in yoga instructor certification begins by calling us at 757-643-6900.